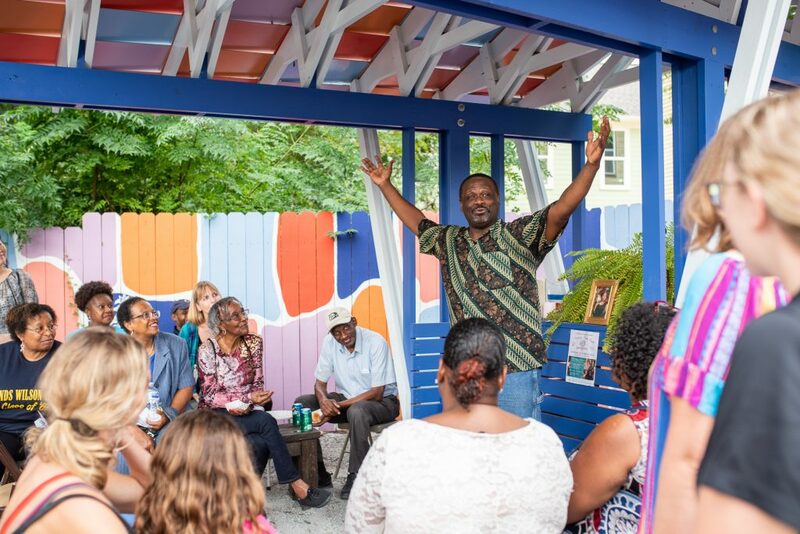 Join us every Tuesday evening at 5:30pm for Soup & Storytelling in the Butterfly Book Nook, 1020 King Street (First African, across from Food Lion). The Stone Soup Collective will host preparing and cooking a big pot of soup (inspired by the story of Stone Soup). Neighbors & friends are invited to gather and learn to make locally sourced, healthy and nourishing soup while enjoying professional storytelling, poetry and more — and we’ll share our own stories around communal tables. Want to share a story? Please contact info@enoughpie.org or call 843-972-3253. The Butterfly Book Nook is located in the backyard of First African Childhood Development Center, 1020 King Street, across from Food Lion. All are welcome! There is no cost to participate. 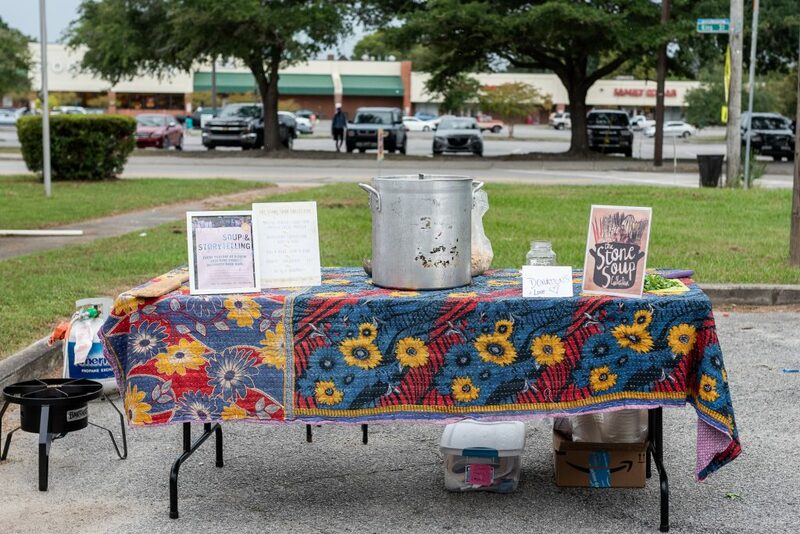 Soup & Storytelling is part of many events and public art works for AWAKENING: NOURISH. Each year, Enough Pie hosts an AWAKENING to shine a creative light on a key issue in the Upper Peninsula (and beyond). This year’s AWAKENING theme is NOURISH, neighborhood and community building project to be implemented from October 1, 2018 – June 1, 2019 based on creative and joyful access to nourishing foods, stories & artwork. The goal is to co-create meaningful experiences about growing, preparing, and being inspired by nourishment. AWAKENING: NOURISH will shine a light on hunger and access to healthy foods – physical and psychological in the Upper Peninsula neighborhoods of Rosemount, Bridgeview, North Central, Eastside and East Central as well as business corridors on Meeting, Morrison and King Streets.